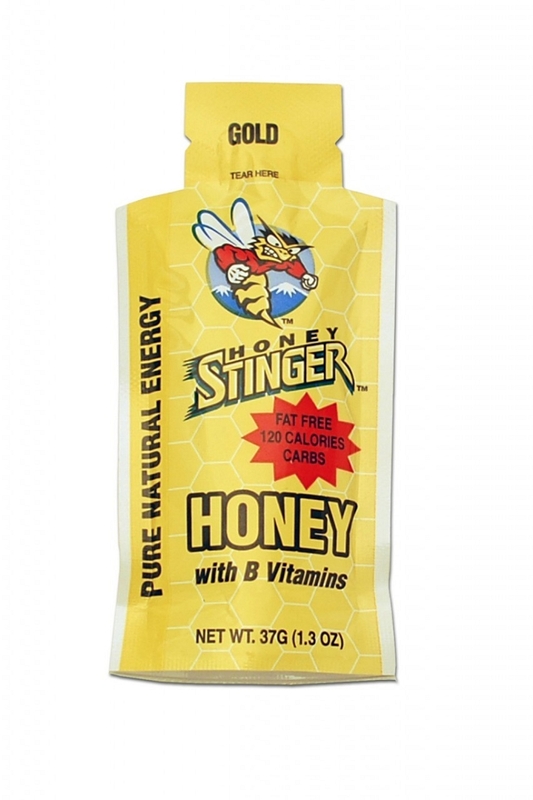 Honey Stinger Energy Gel packets are available in two flavors: Gold and Ginsting. Each include pure honey from the USA, water, sodium, potassium, B complex vitamins and all-natural flavors. 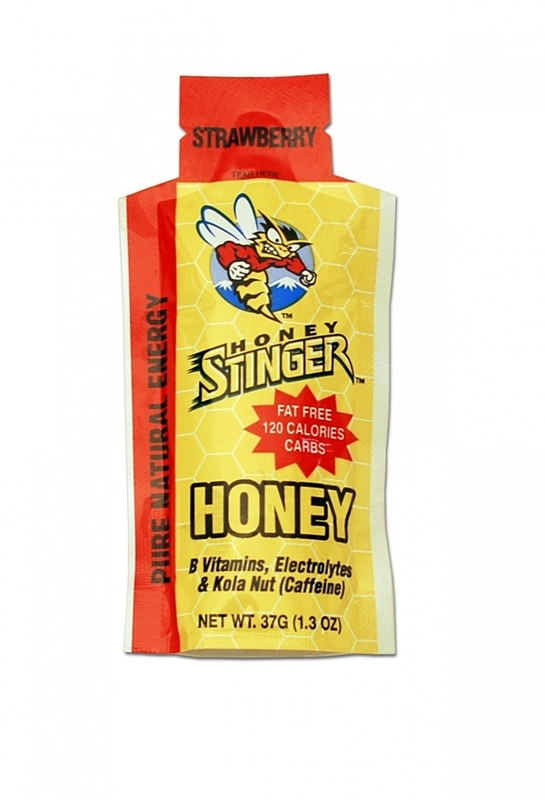 Strawberry and Ginsting flavors contain kola nut extract which is a natural source of caffeine. 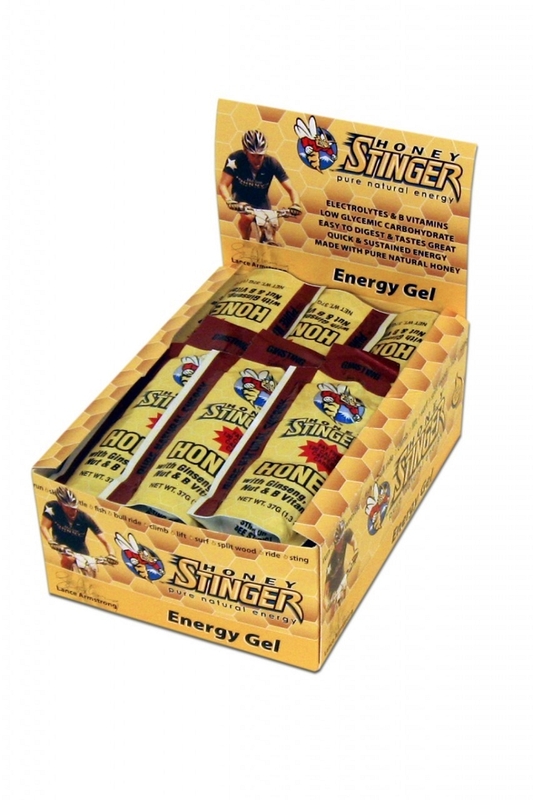 Honey Stinger is more versatile than other energy gels. Consume it straight from the packet for a long-lasting boost of energy or spread it on toast or stir it into tea. All flavors also mix well with water to make a natural energy drink. Honey has been used for centuries as a source of pure energy and modern research is providing us with more information to show the benefits of how well it works. Try it for yourself!